Teleradiology Prices: 3 Things You Need to Know - ONRAD, Inc.
1) Billing – Many teleradiology providers bill CT A/P studies at 1.5 times the CT rate. However, not all providers offer this combined rate. Over time, this will add up to a significant savings. 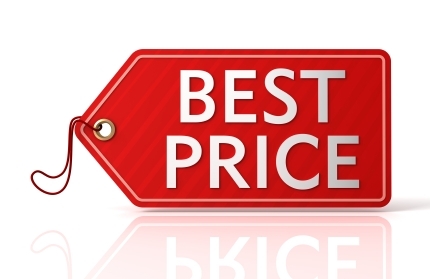 2) Price Changes – Some contracts allow the teleradiology provider to change the pricing structure with a 30 day notice. Be sure your prices are locked in for the duration of the contract. However, you shouldn’t lock in your prices for more than a year. The industry changes fast. You may be able to negotiate better rates after one year. 3) Quality – We know you’ve heard it a million times but the old saying “you get what you pay for” is true. The lowest price isn’t always the best choice. Be wary of companies with dramatically reduced rates. Ask for data on the radiologists and take a close look at their education, previous record and quality statistics. Accreditation by the Joint Commission is a good mark of quality to check for. You may also ask where the radiologists will be reading from – in the United States or from overseas. If the radiologists will be reading from overseas, that could present challenges for your group in the future. Request a quote to learn more about how ONRAD teleradiology services can help you.